The initiator of JAAM, Jewish Awareness America, a national awareness program for Jewish students, writes about a complex and painful topic. 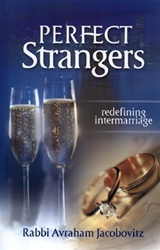 Written with straightforward clarity, Perfect Strangers first discusses basics of the human experience, such as, “What is the purpose of life?”, “What is love?”, and “What are the essentials of human relationships?” Rabbi Jacobovitz deftly explains the philosophical aspects of intermarriage and describes some of the real issues that intermarried couples face. 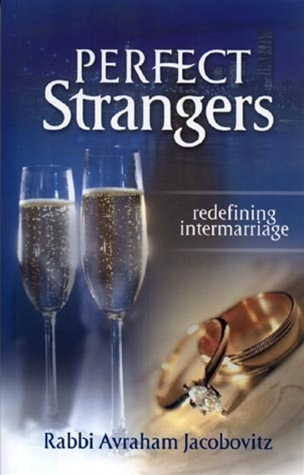 This book is a must for anyone who wants to better understand the challenges of intermarriage and ways to deal with its ripple effects.